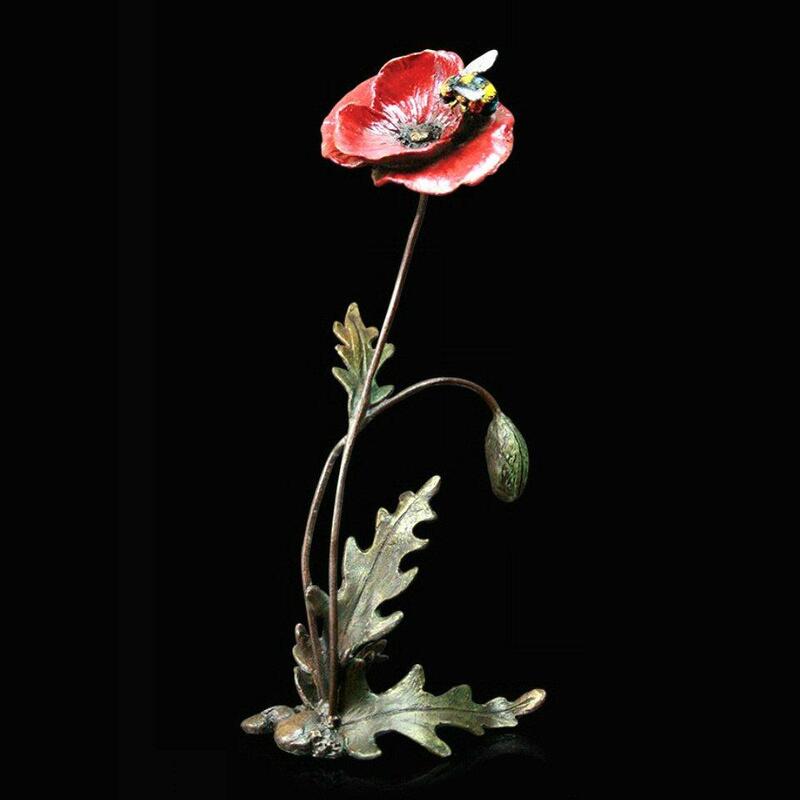 Solid bronze poppy sculpture by celebrated wildlife sculptor Keith Sherwin. 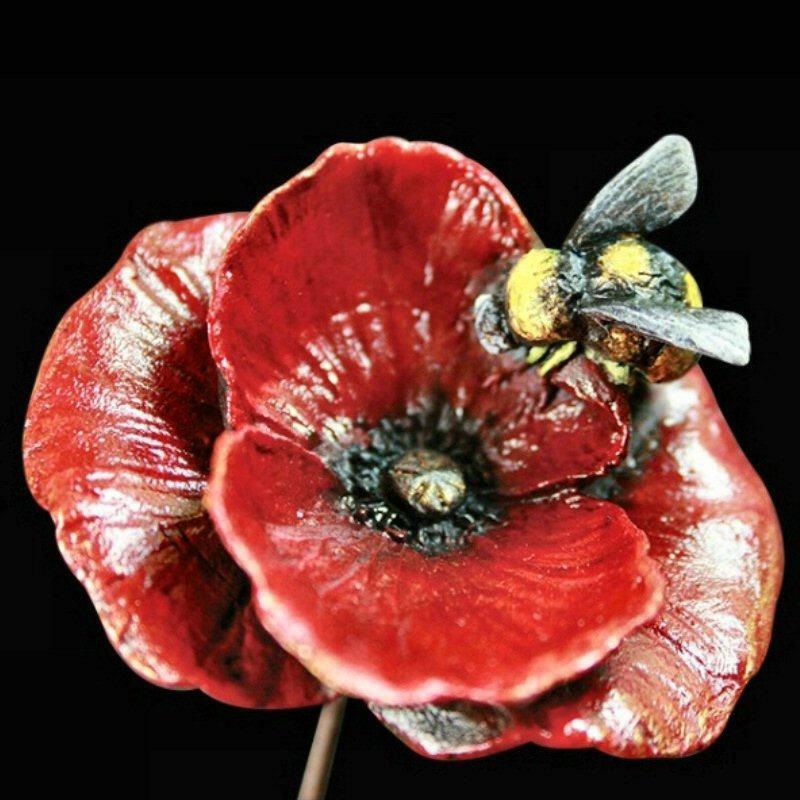 An elegant piece finished off perfectly with a honey bee collecting nectar. A solid bronze, limited edition sculpture with subtle colour tones added by hand - a fine addition to the Nature Trail collection from Richard Cooper & Co - this would make a treasured gift for any lover of wildlife.